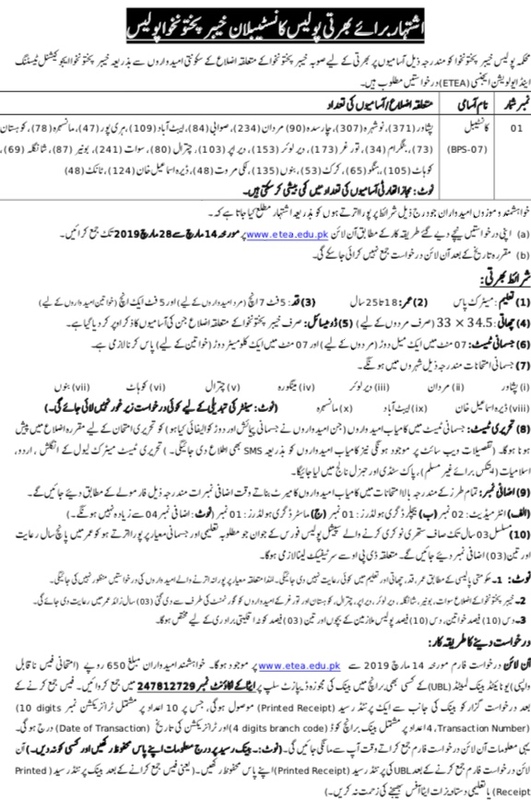 Kpk Police Department has invited applications for driver constables from different districts. 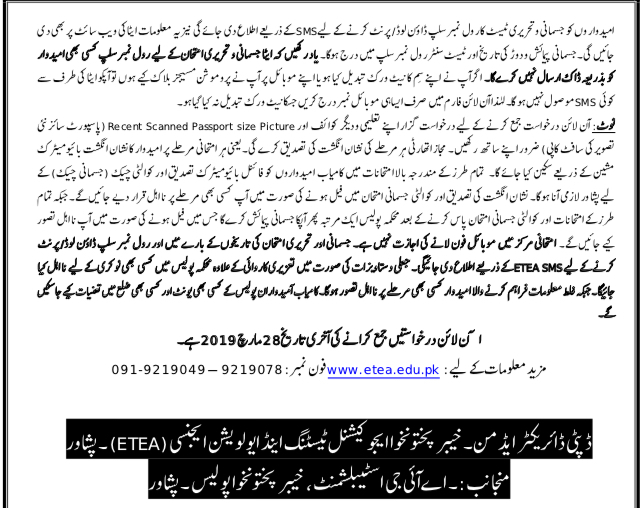 To ensure merit, transparency and fairness, recruitment has been authorised to ETEA. Note: Extra marks will be allotted to Intermediate, Bachelors and Master Degree holders.